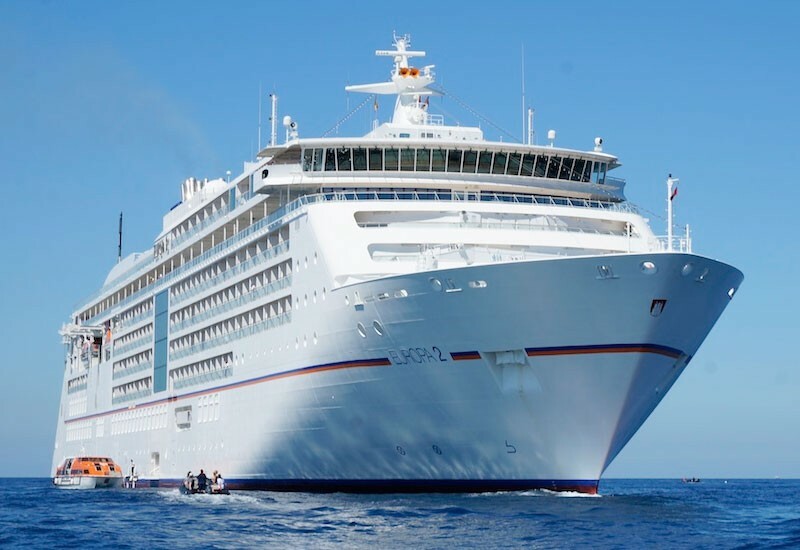 Your cruise on the EUROPA 2 starts against the skyline of the New Zealand metropolis. The Bay of Plenty is a popular surfing location with expansive beaches. From here, journey to Rotorua*, the heart of Maori culture and an unbelievably beautiful geothermal region. See kiwis, geysers and bubbling mud pools and experience Maori songs and dances. For an adventure, take a helicopter flight to the volcanic White Island*. Tolkien fans can travel to “The Shire”*. This popular sport is great fun, even on the first attempt. Our travel concierge will be happy to arrange a tour for you in Mount Maunganui! Pure art deco in the city centre and the Marine Parade are both worth a visit. Try the region’s renowned white wines on an excursion* to the award-winning vineyards in Hawke’s Bay: Elephant Hill, Mission Estate and Church Road Winery. For a refreshing, action-packed experience, go white-water rafting* on the Mohaka River. The capital of New Zealand, its cultural heart and the centre of the flourishing film industry. Go for a walk and see for yourself! Get to know the city in more depth on a tour*. Embark on a high-country experience* starting in this idyllic small town. Alternatively, climb the steep Arthur’s Pass on the TranzAlpine Express*. Or discover New Zealand’s breathtaking natural world along the Rubicon Trail on a horseback ride*. With a fascinating museum, many parks, boutiques and inviting cafes, the city on New Zealand’s South Island is definitely worth a visit. Explore Mount Cook National Park on a full day excursion* to the high mountains and a glacier lake* with icebergs. The old coastal and university city is the starting point for a train ride* on the historic Taieri Gorge Railway. On the way to the “hill of heaven”, you will travel over old viaducts and through wild, rugged landscape. With a mild climate and a picturesque network of trails, Rakiura National Park is a great place to hike*. The fjord landscape is the most remote and fascinating in New Zealand. Enjoy the view from your veranda when the EUROPA 2 cruises through Milford Sound. A former whalers’ settlement, it has a charming old town with plenty of rustic restaurants and bars, particularly around Salamanca Place. Mount Nelson* and Mount Wellington* offer stunning views. But the view is even better on a flight* over the Tasmanian wilderness. In nearby Bonorong Wildlife Sanctuary*, you will see not only wombats, kangaroos and koalas, but also the legendary Tasmanian devil. Melbourne is one of the world’s best cities in which to live – something you will notice immediately when sightseeing*, shopping and strolling around. In one of the world’s most beautiful harbours, you will take your leave of the EUROPA 2.